It seems obvious that your bedroom should be cosy, yet so many people don't know how to achieve it. While a bedroom should be simple, homely and warm, many homes end up with bedrooms that are cluttered, crowded, claustrophobic and packed with items and colours that don't work in harmony with one another. Not to fear! Today, at homify, we have nine unbelievably cosy bedrooms that you'll love, lined up for inspiration and motivation. You will see just how easy it is to create the most tranquil and serene space thanks to these designs picked out from some of the professionals in the world. A canopy bed will instantly transform your bedroom into a fairtytale haven, no matter how old you are. With soft drapes surrounding your bed, every time you go to sleep you'll feel safe and cocooned. You're guaranteed sweet dreams! Have a look at these other: Ideas for your dream bedroom. While dreaming about Maths is hardly thrilling, introducing it into your bedroom design can make for a very dynamic and trendy space. In this design, we can see how the throw on the bed as well as the decor items on the side tables introduce a very funky and stylish touch to the room. It also brings all of the colours and tones together. 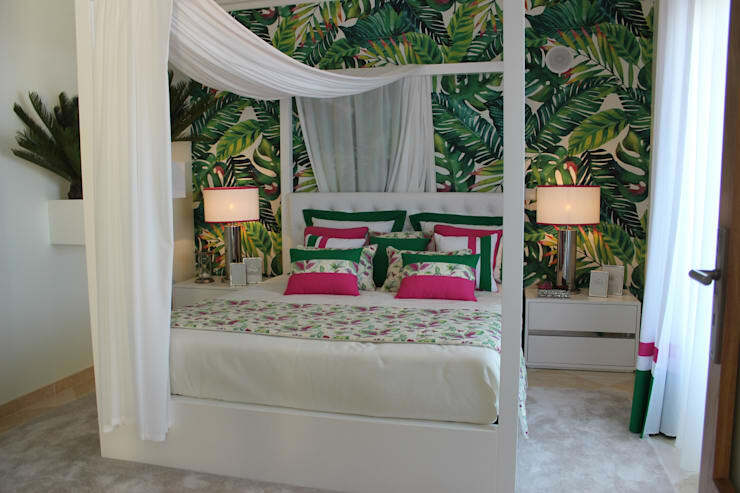 In this design, by design interiors Andreia Louraco, we can see how they have used the wallpaper to introduce a tropical theme into the room. You're bound to feel at peace if it feels like you are going on holiday every time you enter your bedroom! Wallpaper is a great way to bring a colour or a theme into the bedroom space, while allowing you to opt for timeless neutral furniture that can be used for the rest of time. Add some colourful cushions to the bed or a throw that matches the theme and you'll have a bedroom that looks like it comes out of the pages of a design magazine. If you really want a zen space where you can feel centred and come back to who you are at the end of each day, then a minimalist design is the way to go. In this image, for example, we can see that the designers have only included the most functional and necessary items in this space. There are also no personal items lying around. Everything is stored neatly away. The result is a simple, sleek and sophisticated space packed with peace and tranquility. You can also introduce a colour into your bedroom, which will envelope the space snugly creating a very homely and comforting room. In this design, red has been chosen and has been used as a dominant colour. 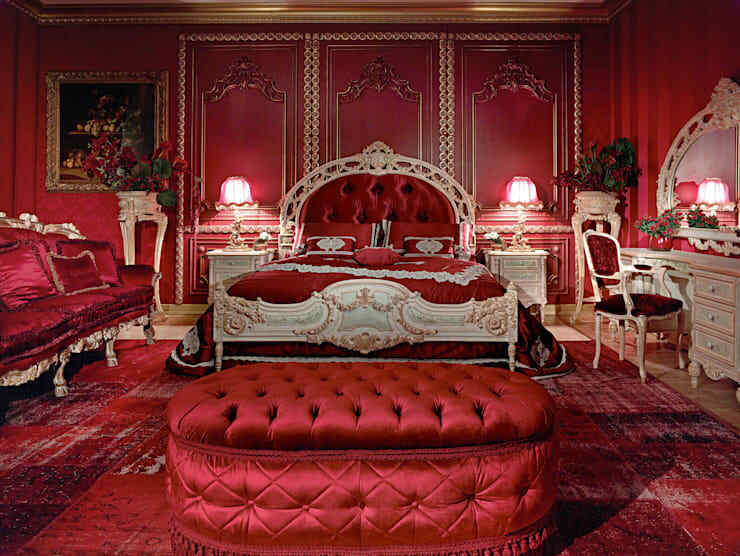 Everything from the headboard to the walls are a deep red, making this room feel very warm and entrancing. It's almost like you're entering a cave when you come into this bedroom. 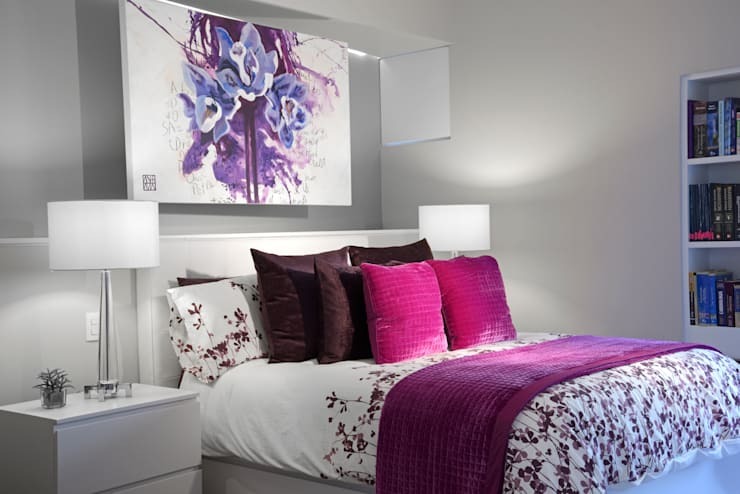 Colours can have a huge impact on your bedroom, encouraging certain feelings and emotions. Have a look at: How colours influence your bedroom. Plants and flowers are a wonderful addition to any room, but they can be particularly appealing for a bedroom. 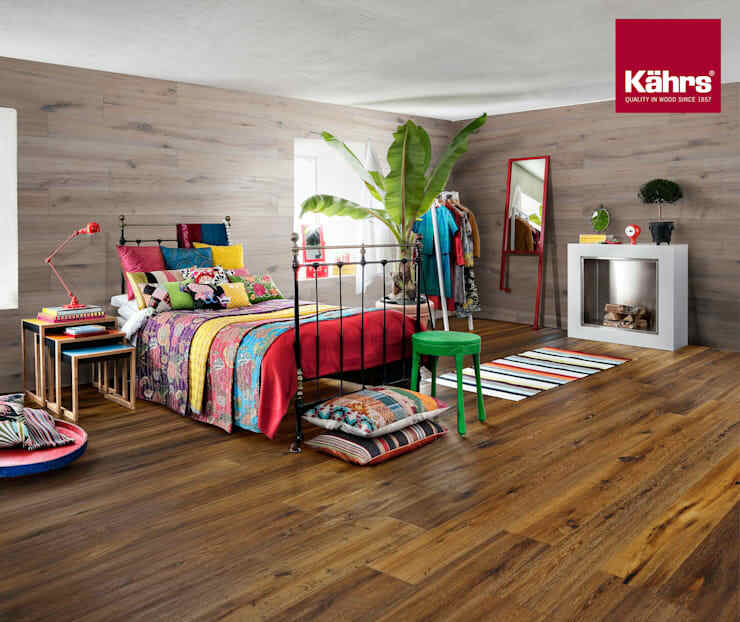 Not only do they breathe new life into a bedroom space, but they add a sense of vitality and energy. No matter how small your bedroom is, a touch of nature can also make you feel connected to the outside. Opt for a big vase of flowers, a pot plant or even a small tree. 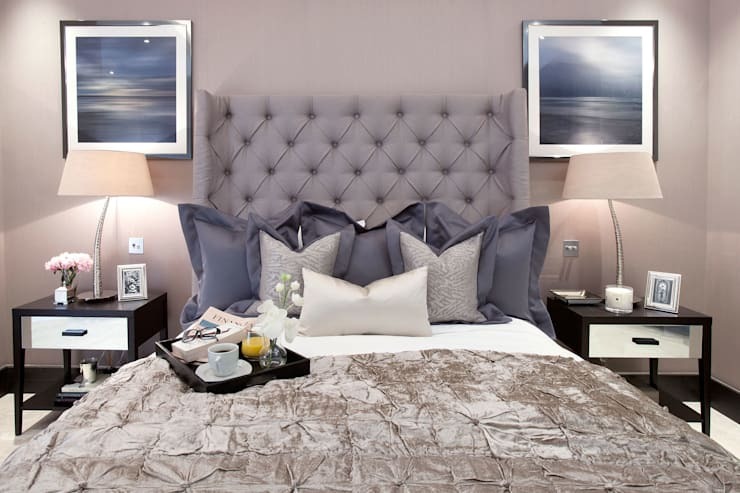 Cushions are often overlooked in your bedroom, but they can change the whole look and feel of the space. They can add colour to a bedroom or some patterns or fun quotes. In this image, we can see how the cushions bring a gorgeous and elegant twist to the bedroom. You can also place as many as you like on the bed for a very lavish look! 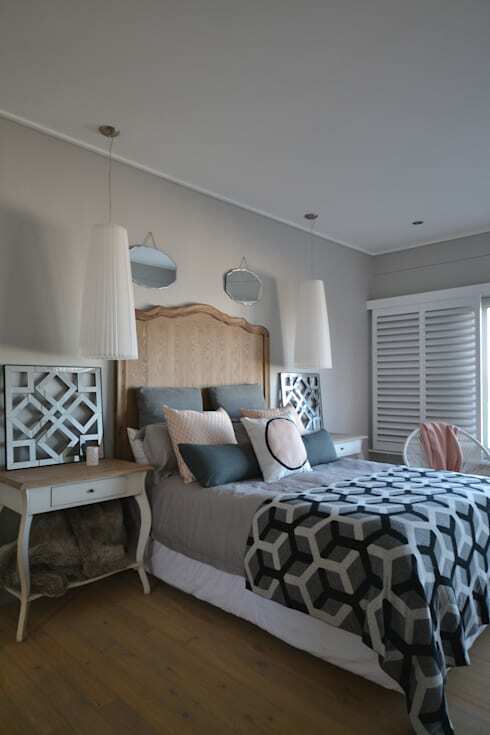 Have a look at these: Tips for designing a seductively romantic bedroom. Artwork or family photographs can truly enhance a bedroom space. Remember that your bedroom is an extension of who you are so it should feature items and objects that are most meaningful to you. Pick artwork that speaks to who you are or photographs that remind you of your favourite memories. Having a small bedroom doesn't mean that you have to compromise on style or comfort. In fact, a smaller bedroom requires more innovation but can yield better results. 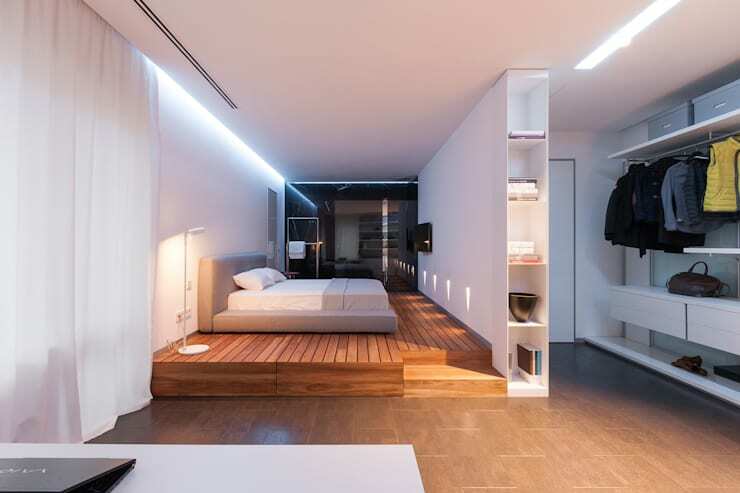 In this image, we can see how the bed has been placed above a set of cupboards, making the most of vertical space available. A little bookshelf has also been added to the space, creating a cosy little reading nook too!